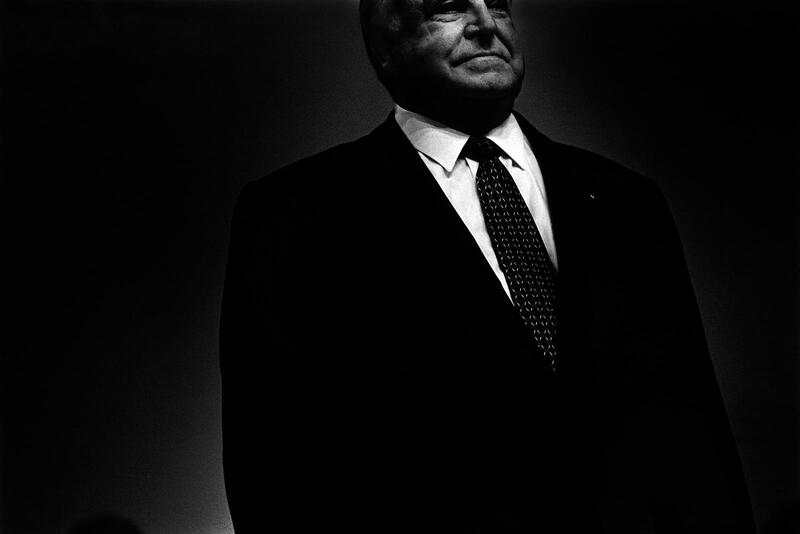 Bundestagswahlkampf 1998, Helmut Kohl bei CDU Wahlkundgebung in der Dortmunder Westfalenhalle am 23.08.1998. Europa, Deutschland, Dortmund. | Power and Ritual - Rituals of Election Campaigns. 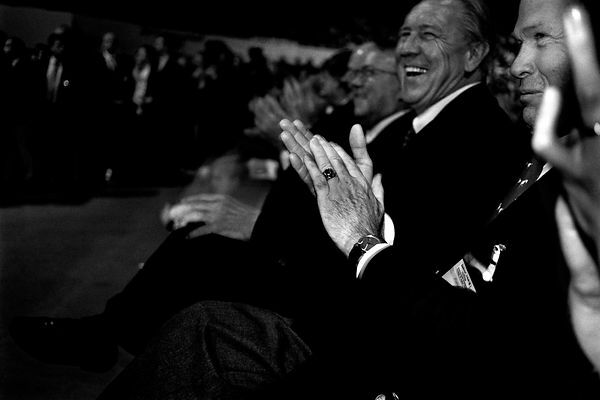 Former chancellor Helmut Kohl (1982-1998) in one of his last staging and speeches during the election campaign in Dortmund, Germany, Aug 23, 1998. He builded up a strong power and he was one of the architects of reunite of Germany in Oct. 3,1990. 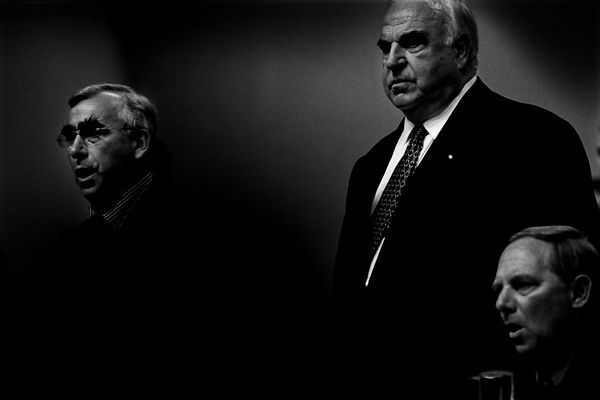 Gelatin silver print, 40x50cm, white border incl, sig., st., 1998. Fine Art print, 80x120cm, mounted on cardboard, sig., st., 2013.